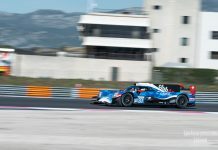 Jean-Eric Vergne set the fastest time in the LMP2 class in this morning’s Free Practice 2 session with a 2:02.348 in Championship-leading #26 G-Drive Racing ORECA 07. Despite the day starting dry and sunny, shortly after the session started the rain again fell, bringing out a Full-Course Yellow (FCY) and two red flags for incidents out on track. French team GRAFF took the brunt of the damage during the session as both its cars suffered off-track excursions. The first to go was the team’s #40 G-Drive Racing ORECA which suffered the biggest shunt; James Allen losing the car at Turn 13 and suffering a heavy impact with the barriers resulting in significant bodywork damage. 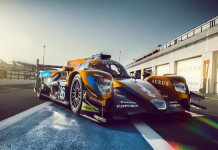 The crash sidelined the car for the remainder of the session meaning his debutant LMP2 teammates Henning Enqvist and Julien Falchero were unable to get any track time during the session. The #39 sister car (in the GRAFF livery) also sustained damage, though not as significant. 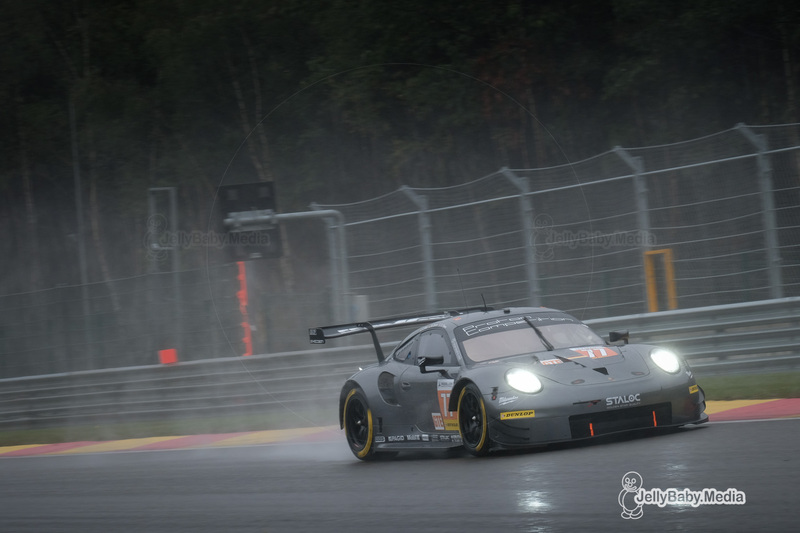 Despite his experience, as the rain started, Tristan Gommendy got caught out at the Bus Stop ending up off track ending the car’s running for the session. Between both cars, the team only managed a total of 11 laps. 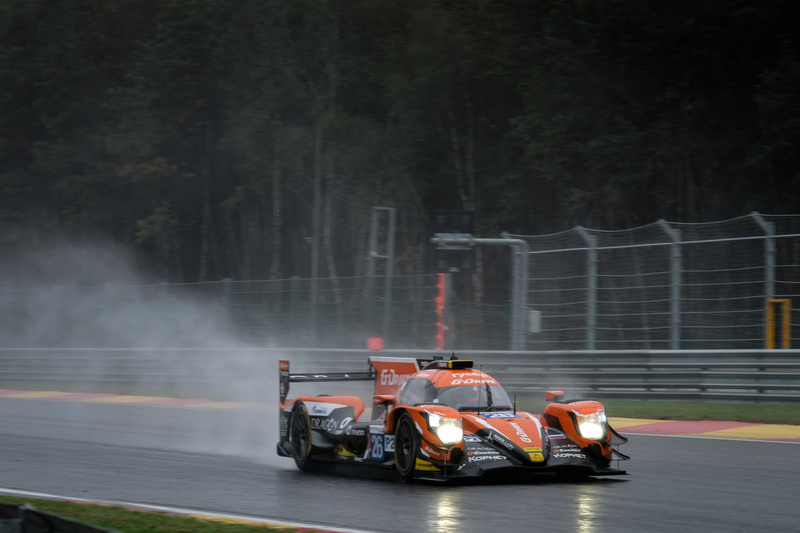 Second and third in LMP2 were the #29 Duqueiene Engineering and #29 IDEC Sport ORECA 07s, both cars coming within three tenths of Vergne’s fastest time. 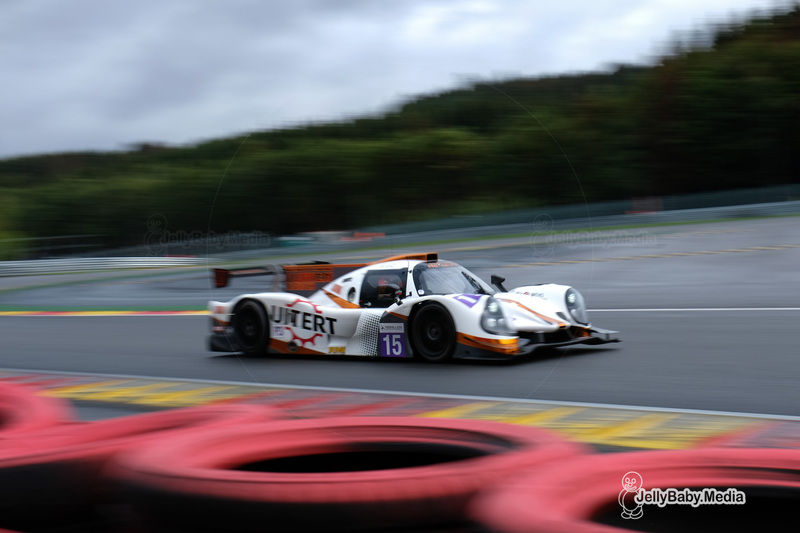 LMP3 was topped by RLR Msport Ligier JS P3. Somewhat unsurprisingly the best lap time came from Dutch young-gun Job Van Uitert who clocked in a 2:14.423. 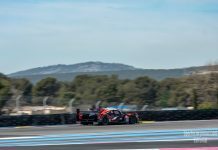 Under a tenth of a second behind was the #17 Ultimate Norma, followed by the #11 championship-challenging Eurointernational Ligier in which Mattia Drudi set a 2:14.971. Moving onto the GTE ranks, Gianluca Roda topped the times in the #77 Proton Competition Porsche with a 2:19.290 a mere +0.192s ahead of the #80 Ebimotors 911 RSR. The #88 Proton set third fastest time with a 2:19.839 making it a Porshce 1-2-3. JMW’s 488 GTE was the fastest of the Ferraris in fourth, seven tenths adrift. Qualifying starts at 13:10 local time.